If you live in Canada, you know how important it is to find things that brighten your mood in the winter. Making the effort to get out to the art gallery, a friend’s party or a concert sometimes feels like a feat Herculean strength. Especially if you have kids, finding a sitter and getting out for date night can be incredibly difficult. 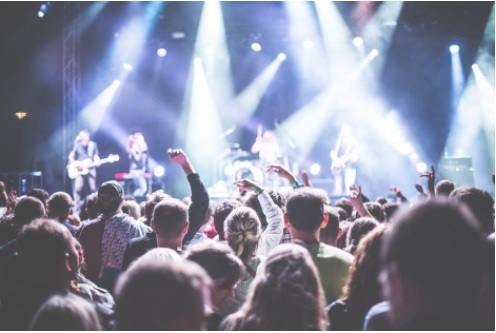 Studies show that music can make a huge difference in your mood; whether it’s throwing a particular album on at home, listening to the radio in the car or actually getting out to a live concert, music can be a crucial emotional tool in making it to spring without getting too depressed. If you have adolescent children, you can try and find something that appeals to them as well – there are plenty of adult contemporary artists with cross generational appeal. Kids love to learn music as well, and perhaps your favourite Leonard Cohen album will inspire your teenage son or daughter to learn to play Hallelujah on the piano. Feist’s breakout album The Reminder might be the best thing she’s ever done, but her earlier album Let It Die is certainly no slouch. Singing in French and covering a disco hit (Inside and Out), Feist definitely mixes it up and delivers a wide range of styles. Mushaboom is a catchy single that will be stuck in your head for days, without a doubt. Her more recent albums are rawer and more experimental – not to everyone’s taste, but certainly worth exploring. Originally from Ottawa, this Montreal transplant has become a staple in the Canadian indie music scene. His soft crooning and smooth folk-pop sensibilities make his records ideal for listening to on a romantic evening, during dinner or while relaxing with a glass of whiskey or wine. Leif learned to play guitar and piano as a child and it shows; his musicality is effortless and comes across naturally. Fronted by the charismatic Jasmine Burke, Weaves has been referred to as freak-out indie rock. On their newest album, Wide Open, they embrace a more traditional rock dynamic, showcasing Burke’s fantastic songwriting and lyrics. Still, the heavy guitar, funky bass and powerful drums will make you want to rock out while doing the dishes. Definitely may appeal to your teenagers more than you, but then again, even grownups need to rock ‘n roll from time to time. A fascinating band from Toronto, BBNG is made up of jazz geeks who met in a formal music program and shared a love of R&B and hip-hop. They’ve collaborated with big name rappers like Kendrick Lamar and Ghostface Killah, but their own albums are mostly innovative jazz compositions that are hypnotic and beautiful. You need to be in the right mood for this kind of experimental music, but sometimes it really hits the spot. You’ll also win serious cool points with your kids.